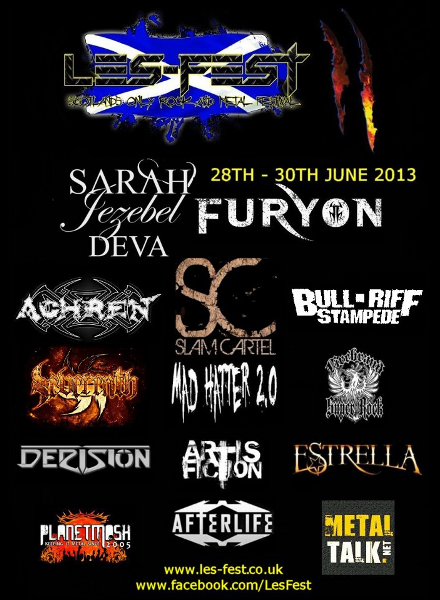 ROCK and METAL festival LES-FEST will take place at Valley International Park in Crossford, South Lanarkshire, UK on June 28th - 30th. The event awarded the Best Musical Event of the Year 2012 at the Scottish New Music Awards. 62 bands will perform at 2 stages for 3 days. See more info about the event on LES-FEST website.